Never in the history of the species has looking directly at death been an option. It would have stretched us beyond what we could tolerate. This picture is beginning to change, and the implications are profound. A new maturity in our relationship with death will be increasingly essential. It should also be something that we become increasing capable of. In the past, I’ve written most about this challenge as it pertains specifically to medicine. 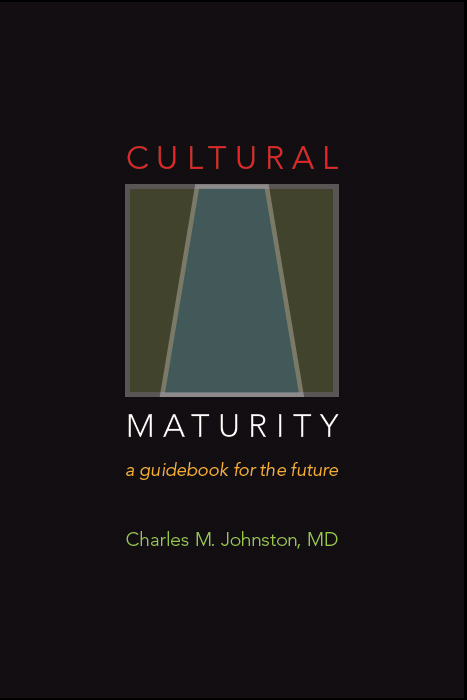 In my most recent book, Cultural Maturity: A Guidebook for the Future, I expand these reflections to argue that the need for greater sophistication in how we address death reflects a necessary kind of “growing up” as a species that affects every part of our lives. A greater willingness to acknowledge limits—of all sorts— will be required if we humans are to proceed at all wisely. We can think of death as life’s ultimate limit—to both what we can do and what we can know. We can use the health care sphere as doorway into this larger understanding. 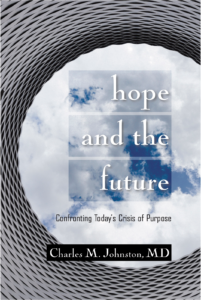 I’ve described how we can effectively address today’s health care delivery crisis only to the degree that we can leave behind modern medicine’s heroic, defeat-death-at-any-cost mindset. The early innovations of modern medicine—like sterile technique and penicillin—were relatively cheap. More recent advances—sophisticated diagnostic procedures, exotic new medications, transplant surgeries, and more—are increasingly expensive and promise only to get more so. Unless we are willing to spend an ever-expanding percentage of national resources on health, we have no choice but to restrict health care spending. Initially this would involve restricting treatments of questionable efficacy—which we are already beginning to do. But eventually it would need to involve restricting care that could be effective, but that is simply beyond what we can afford. Restricting care in this way puts before us a whole new order of ethical challenge. Not providing care when we have effective care to offer calls into question not just modern medicine’s defeat-disease-at-any-cost heroic mythology, it demands a new relationship to our human mortality. Medicine has always been about life-and-death decisions. But limiting care demands in effect the conscious choosing of death—at least in the sense of withholding care that might delay death’s arrival. Good long-term health care policy will require a maturity in our relationship with death not before necessary, nor within our human capacity to handle. Cost containment is only the most obvious reason a new, more mature relationship to death will be essential to the future of health care. When we view death as an enemy, we can confuse the prolongation of life with supporting life. Too often the result is extreme interventions that, while well-intended, ultimately do harm. The health care world has taken important first steps in how it relates to death. We witness growing recognition of the importance of end-of-life conversations between patients and doctors. The role of quality hospice care is increasingly appreciated. And states are beginning to pass legislation that supports doctor-assisted suicide. Continuing to move beyond medicine’s past heroic relationship with death will be more and more central to health care being a life-affirming enterprise in the decades and centuries ahead. To highlight how radically transformative a new maturity in our relationship with death would be for human culture as a whole, we can turn to other spheres—for example religion. A person could easily think that religion is a sphere that long ago made its peace with death. Funerals most commonly take place in churches, and religious settings are where we are most likely to encounter conversations about our mortality and find solace in the face of death. If we go back to earlier cultural times, we often find death-related imagery closely tied to spiritual experience. (For example, burial mounds were places of worship for the ancient Celts, and writings such as The Tibetan Book of the Dead have served as guides to spiritual realization.) But religion, by providing unquestioned explanation for what happens after death, has also served to protect us from death as experience. It helps to put how religion has conceived of death in historical perspective. Each stage in the evolution of spiritual/religious understanding has provided us with a somewhat different picture of what happens after we die. In tribal times, death was thought of as bringing a rejoining with nature and with our ancestors in a kind of parallel world. Later, with the early rise of civilizations and more polytheistic sensibilities, we commonly encounter belief in reincarnation, with death bringing a return to the present in some new form. With the emergence of monotheism, we came to think of death as providing entry into a now separate world—depending on our life choices, of either a heavenly or hellish sort. With the more liberal monotheism of Modern Age times, we tend most often to think of that separate world as simply a better and happier place. Each of these pictures, in a way consistent with the realities of that cultural stage, offered a sense of order and gave us a way to reconcile with death. But each also, in the end, protected us from the fact of death. It has been important that religion, besides offering solace in death, has also protected us from death’s easily overwhelming implications. But what if religion were to succeed in making the kind of transformational step in relationship to death necessary to the future of medicine? How would religion and its contribution become different? In asking this question of religion, in fairness we should bring a further sphere into the conversation: science. It would be easy to think that science’s conclusion—that death is just death, the end of us—is instead correct. But science’s conclusion is, in the end, just as much an “article of faith.” Scientists share with theologians the fact that neither can describe death from personal experience. In the end, science faces its own version of the same question as religion. A more mature relationship to death could also have marked and surprising effects in cultural domains that do not so directly engage questions of death’s significance: for example, the media—both serious media (such as news media) and media of a more entertainment-based sort. News of an “if it bleeds, it leads” sort commonly garners the greater portion of airtime. It is rare to find television after nine o’clock in the evening that doesn’t involve at least one killing (more often it involves four or five). And killing—and the possibility of being killed—is pretty much defines what “action” movies and most popular video games are about. Modern media draw us in by creating a narrative tension between life and death. But, in the end, this is a manufactured tension, or at least a tension born of an increasingly outmoded and unhelpful interpretation of death—a polarized and mythologized picture that makes death if not evil, certainly our adversary. The kind of “growing up” in how we view death that our times are demanding and making possible might, in the long-term, fundamentally alter media—of all sorts. The need for a new maturity in our human relationship with death pertains not just to the thinking of particular cultural domains, but also to today’s most ultimately defining and encompassing cultural challenge. I’ve written about how the core crisis of our time is a crisis of purpose, one could say a crisis of story. Familiar cultural narrative—from the American Dream to the positions of political parties—are failing to imbue our lives with significance. Coming face to face with mortality in our individual lives teaches us about what most matters to us as individuals—death is a personal life’s most pointed teacher of meaning, and ultimately of wisdom. As we learn to engage death collectively with a new maturity, it is reasonable to think that this engagement should help us in a similar way more deeply confront what most ultimately matters to us more broadly—as humans. You can find more of the Institute’s thinking on key issues at the Cultural Maturity blog (www.culturalmaturity.net).